We may truly be led by our noses. A sense of smell and a sense of navigation are linked in our brains, scientists propose. Neuroscientist Louisa Dahmani and colleagues asked 57 young people to navigate through a virtual town on a computer screen before being tested on how well they could get from one spot to another. The same young people's smelling abilities were also scrutinized. After a sniff of one of 40 odor-infused felt-tip pens, participants were shown four words on a screen and asked to choose the one that matched the smell. On these two seemingly different tasks, the superior smellers and the superior navigators turned out to be one and the same, the team found. Neuroscientist Louisa Dahmani and colleagues asked 57 young people to navigate through a virtual town on a computer screen before being tested on how well they could get from one spot to another. The same young people's smelling abilities were also scrutinized. After a sniff of one of 40 odor-infused felt-tip pens, participants were shown four words on a screen and asked to choose the one that matched the smell. On these two seemingly different tasks, the superior smellers and the superior navigators turned out to be one and the same, the team found. Scientists linked both skills to certain spots in the brain: The left orbitofrontal cortex and the right hippocampus were both bigger in the better smellers and better navigators. While the orbitofrontal cortex has been tied to smelling, the hippocampus is known to be involved in both smelling and navigation. A separate group of 9 people who had damaged orbitofrontal cortices had more trouble with navigation and smell identification, the researchers report October 16 in Nature Communications. Dahmani, who's now at Harvard University, did the work while she was at McGill University in Montreal. A sense of smell may have evolved to help people find their way around, an idea called the olfactory spatial hypothesis. 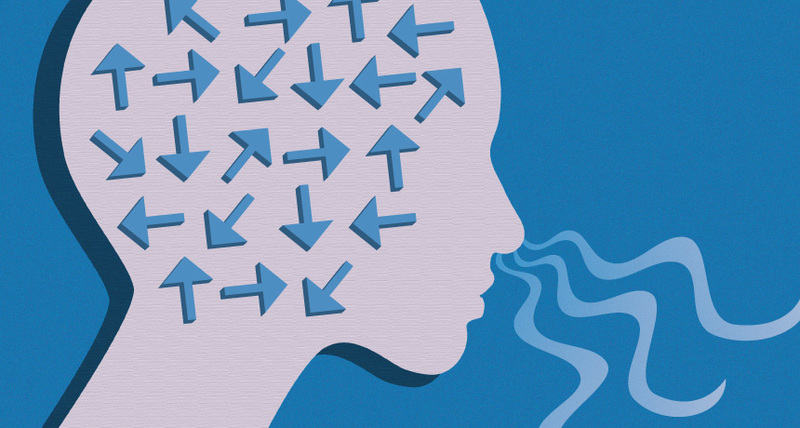 More specific aspects of smell, such as how good people are at detecting faint whiffs, could also be tied to navigation, the researchers suggest.